SS Park Circuit-Pete’s FC Gets a Facelift! Yesterday the “gaijin drifters” were at SS park drift circuit on a what started out a great sunny day. 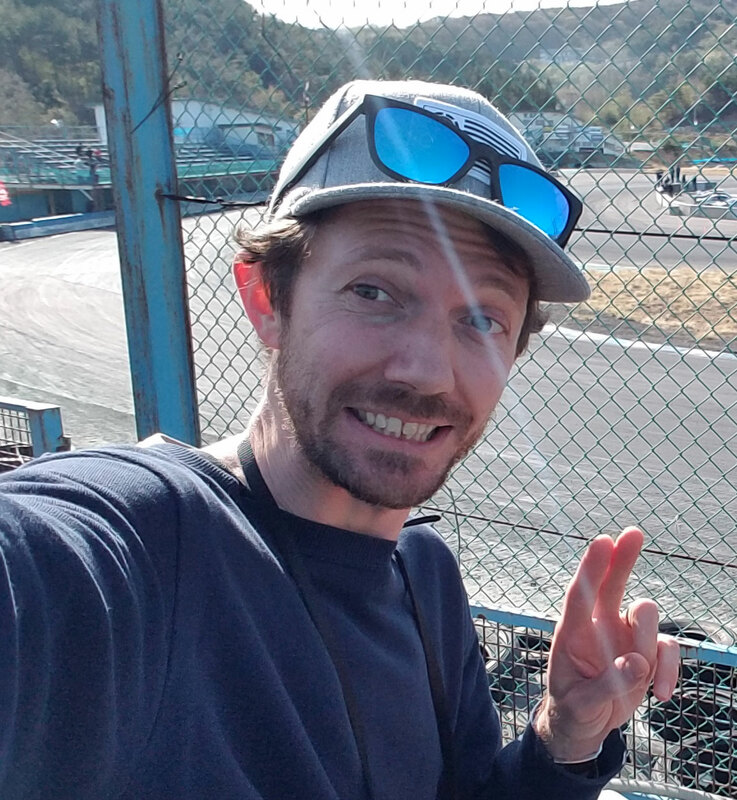 SS park circuit as you may know is only 15 minutes from my place here in Nihonmatsu city Japan. This day my mate Pete brought out his freshly washed and waxed purple headed monster Mazda Rx7 FC3S for a bit of a drift. It was his first time on SS park circuit so it took him a bit of time to get used to….as you’re about to find out! This is Pete’s FC in the beginning. Just washed and waxed and ready to drift. If he only knew what was about to happen a couple hours later, I don’t think Pete would have gone to the trouble to wash it! We were sharing the track with only a few others. 2 of which were girls in Silvias who were really good! We would never had known they were girls by the way they were drifting…they were kickin ace. Meanwhile…for the first hour or so, I was enjoying watching Pete spin out on about every 3rd corner. The FC’s short wheelbase is a tad touchy around SS’s long corners. I soon found that out when Pete gave me a burl around in it. I was worse than him. I really sucked bad. I really don’t have an excuse except it was my first time in the drifters seat for about 5 months and my first time drifting at SS park and it was Pete’s FC which I’ve drifted a whole 4 or so times! It was very touch but a heap of fun! The 13B rotary with boost turned up is like driving a go cart! And sounds like one too! This is what happens when you put 195 tires on 8.5 inch wide rims with not high enough air pressure on the front of a drift car and get huge angle at high speed. Or maybe Pete just wanted to prove that his wheels are chrome even on the inside! CRUNCH!!! I must have been a bad navigator or Pete was getting a little too comfortable around the back hairpin…trying to skim the paint off the guard rail “Initial D” style when we both went “OH CRAP!” and added a new dent to the armco and lighted the front end of Pete’s FC by a quick removal of his black FRP bumper. I think he was planning a face lift for the FC anyway. Good on ya Poit! At least you have a good drift “battle damage” story to tell now! That’s all for this update folks! See ya next time. Don’t forget to subscribe to my mailing list in the top corner to get free email alerts of updates on my web site! Hi, nice blog guys, i love drifting videos, i created a little site with vids only, check it out at http://DriftingVid.com , good luck ! First Drift Day for 2007! First time drifting this year at Ebisu circuit!